In a game of musical chairs, one is taken away at each stage; with words, that becomes a sequence such as STARTING, STARING, STRING, STING, SING, SIN, IN. Such a sequence is given by the six otherwise unclued answers in this puzzle which define words of seven down to two letters. 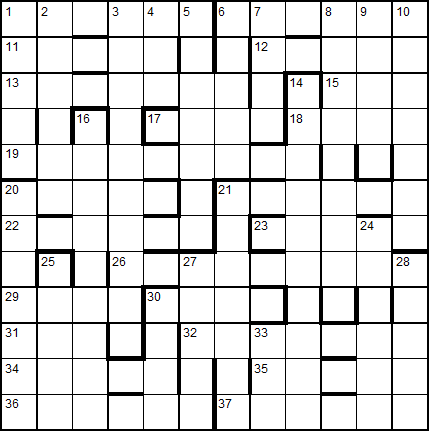 Solvers must highlight the appropriately musical eight letter starting point in the completed grid.